I bought a property in 2006 on a buy-to-let repayment mortgage which I rent to my brother at a low rent. We signed a tenancy agreement at the beginning and have been rolling it ever since. I had never thought about income tax for this letting and because I haven't made any profits on the property I have never done any tax returns for rental income. When there was an increase in the interest payment for the mortgage I made a loss for about 2 years. 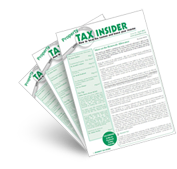 Do I have to do backdated tax return? Also what documents do I need to provide? I never kept any of the receipts for expenditure (e.g. repairs) and I don't even have the original tenancy agreement. What penalties will I incur? If I sell now will I have to pay CGT? If so, how will they know that I ever rented the place as there was no profit and the property was rented to my brother? If you look on page PIM4205 of HMRC’s Property Income Manual (http://www.hmrc.gov.uk/manuals/pimmanual/PIM4205.htm) you can see that if a property is let out non-commercially, e.g. at a nominal rent to a relative, then the losses it creates (e.g. if the interest payable on this property is greater than the rent received from it) cannot be used elsewhere by the landlord. Similarly on page PIM2220 of HMRC’s Property Income Manual (http://www.hmrc.gov.uk/manuals/pimmanual/PIM2220.htm). You won’t incur any penalties because you made no profit on this property and therefore owe no tax to HMRC for it. However you will need to pay CGT on it when you sell.